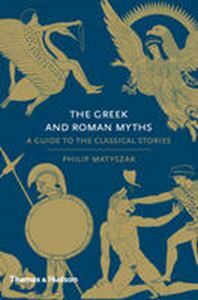 Quick overview A guide to the Greek and Roman Myths. It features a blend of stories, facts and quotations from ancient authors, and places ancient myths in a modern context, discussing the afterlives of the myths and the relevance of their messages. It includes factfiles on heroes and heroines and family trees of the gods. This handy guide to the Greek and Roman Myths brings classical mythology to life. Written by a bestselling author on Ancient Greece and Rome, the book features an engaging blend of stories, facts and quotations from ancient authors, and places ancient myths in a modern context, discussing the afterlives of the myths and the relevance of their messages today. Factfiles on heroes and heroines and family trees of the gods also make this a useful reference book for students.